a lot of the new incarnations of folk rockers these days cite pentangle as one of their great inspirations. 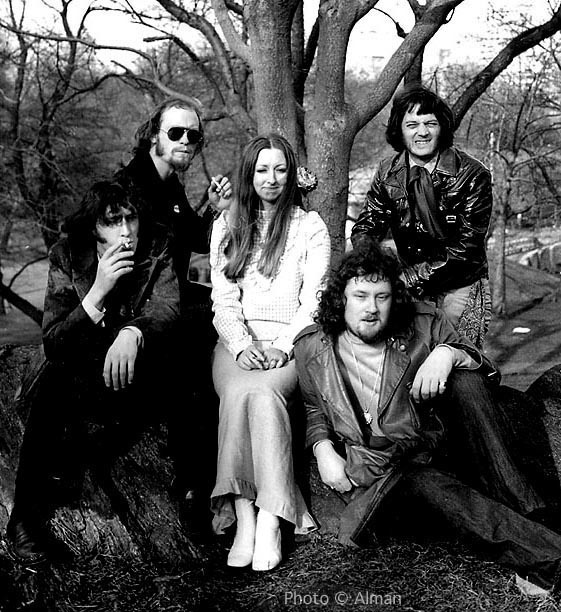 John Renbourn and Bert Jansch are double trouble on the acoustic axes, with Danny Thompson on double bass, and Cox on drums, there are only a few larger legends than these on brit folk scene of the 60’s and early 70’s, even more so now. There is not folkie around now that doesn’t have a bit Jansch in their collection, go get more. i think he even headlined the Welsh folk Green Man Festival last year… i so want to go every year, but can never get over to Wales… you can book the Acid Test DJ’s there if you like? please? they are reuniting 40 years after their double album to play it this summer in England at the Royal Festival Hall!